The basic income movement is gaining national exposure through the presidential campaign of Andrew Yang. Yang has now been interviewed by many major TV networks, magazines and podcasts, and he has qualified for the first two Democratic debates. Owen spoke to Andrew Yang as he was on his way to a campaign stop in New Hampshire about running for president, how basic income resonates in places like Iowa and New Hampshire, and how the politics of this might proceed if he were elected president but faced a skeptical Congress. 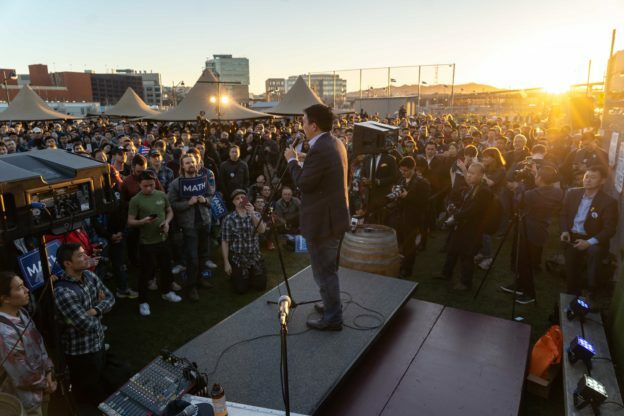 This entry was posted in and tagged andrew yang, andrew yang interview, andrew yang president, basic income, basic income yang, ubi, universal basic income, yang, yang2020 on April 8, 2019 by owenpoindexter@gmail.com.